This week is the M.E Week Special! So what does that actually mean? Well, I will pick new patterns to show you, that are either easy to knit (for those of us who suffer with "brain fog") or, will help with daily activities. "To sooth away those winter aches and pains why not make your own wheat cushion to heat in the microwave so you know what natural goodness is in it. 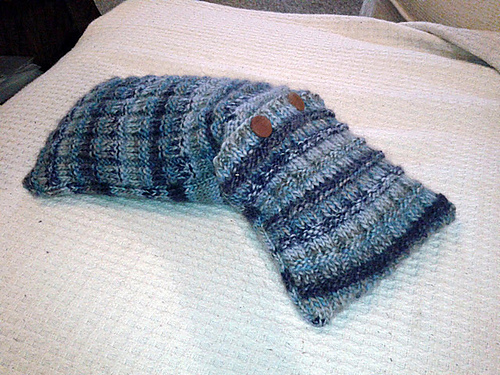 Using a very simple six row waffle stitch to give texture and warmth." As I said on Tuesday, people with M.E/CFS tend to suffer with joint pain (you can see the range of symptoms of M.E, by clicking here), and I know after I do a bit of knitting by hands are incredibly sore, so to keep the joints warm I wear Fingerless Mittens. 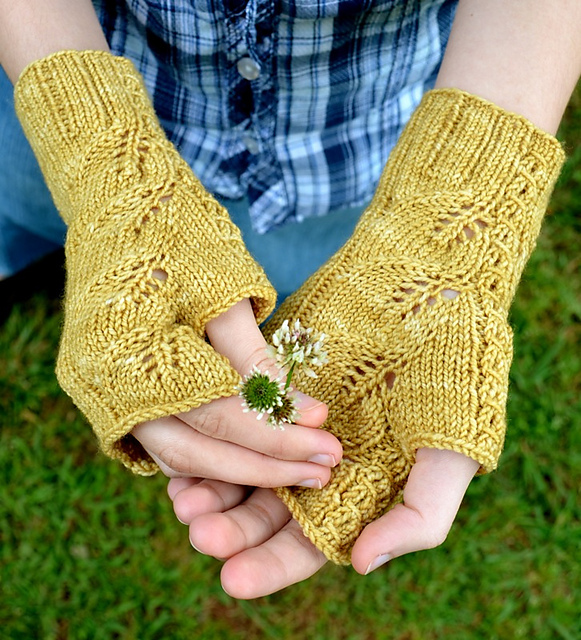 So, our next pattern is a gorgeous lace mittens pattern, called Tea Leaf Gloves by Annie Riley. This is the second pattern of Annie's I've mentioned on This Week in Knitting, personally I believe she is going to be a big star in the designing world. We must keep our eye on this girl! 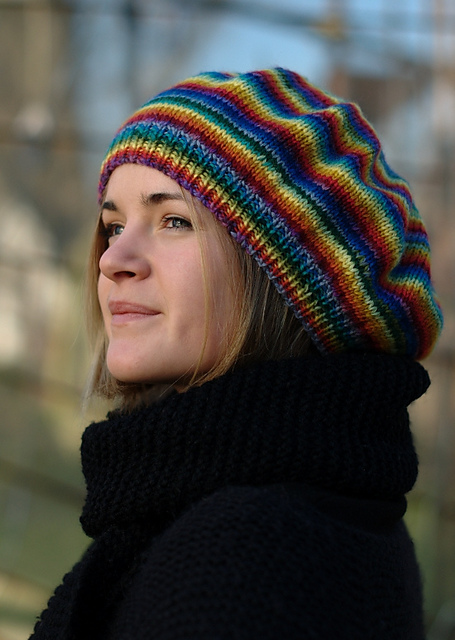 Our final pattern for this weeks edition is Rainbowret by Woolly Wormhead. This simple beret will be perfect for hiding those bad hair days that those with M.E tend to suffer with on a regular basis. Well, I do hope you've enjoyed this special edition. Which of this weeks patterns are your favourite?